Ornamental grasses have become increasingly popular in recent years and I am one amongst the gardening fraternity that has also fallen hook, line and sinker for them. I think my love for them started with discovering the wispy fluffy plumes of Stipa tenuissima many moons ago. The slightest breeze will make them billow and sway, giving planting schemes movement and depth, especially when repeat planted. Using grasses in perennial schemes is a style that was brought to the forefront of the planting design world by the Dutch plantsman Piet Oudolf. 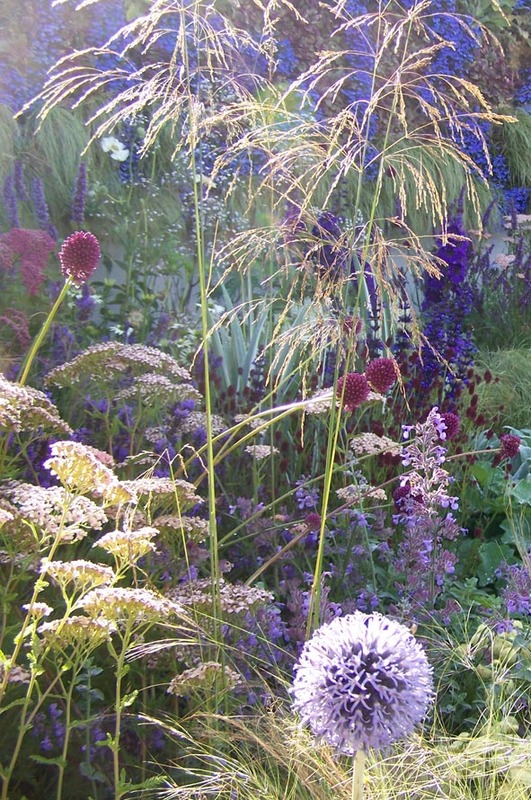 His planting schemes are jaw-droppingly sublime, magical and somehow manage to epitomise nature. 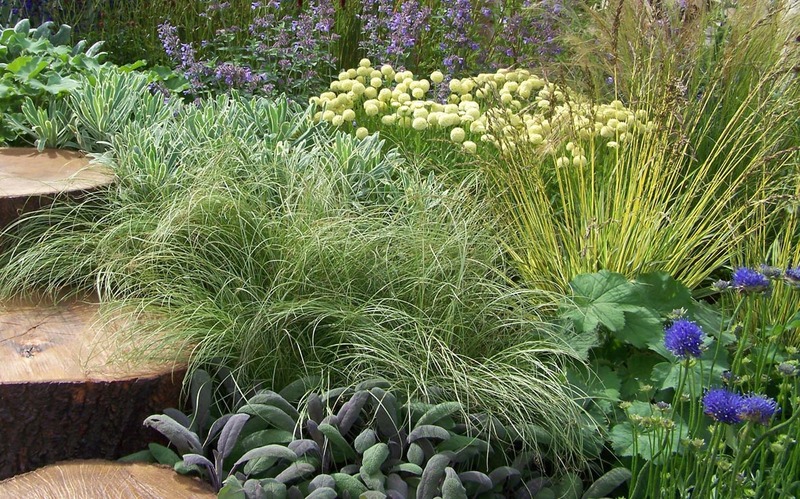 This ‘naturalistic style’ of planting evolved through observing how grasses and perennials grew in the wild, concentrating on structure and the textural qualities of each plant. It is this link to nature that appeals to many [including me] and is probably the reason why grasses have become enormously popular today. 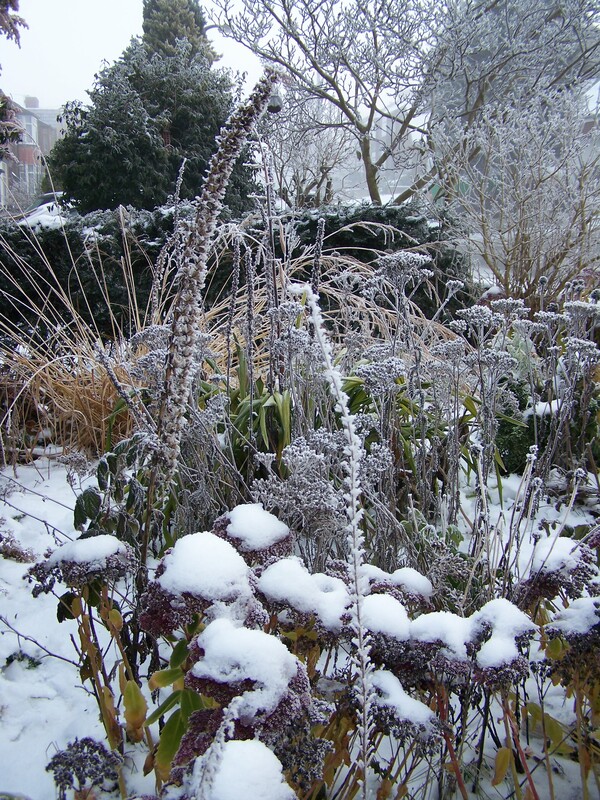 In true Piet Oudolf style, I will go though some classic ornamental grasses that have become my favourites to use in planting schemes by their structural form. Starting with transparent, and there are many in this category, is a form that tends to include the taller grasses that create a see-through screen. Molinia caerulea subsp. arundinacea ‘Transparent’ [ridiculously long Latin name I know] or commonly known as Purple Moor Grass has incredibly elegant feathery spikelets that will catch the slightest breeze. 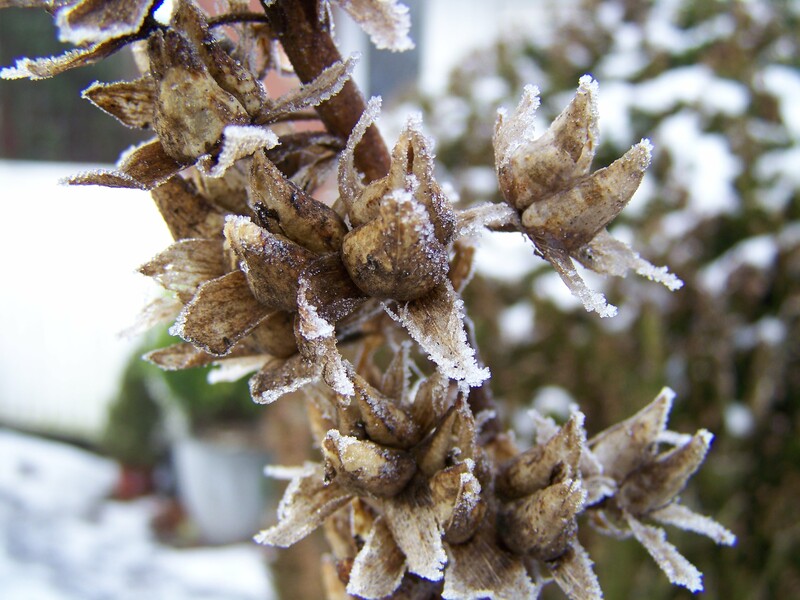 Their fine see-through flowering stems will reach around one meter in height and will contrast beautifully with bolder perennials. It will do well in most soil conditions as long as it is not too dry, will tolerate light shade but does best in full sun. Stipa gigantea is another transparent grass but instead of a fine fizz of flowerheads this grass has golden oat-like flowers on huge arching stems; once established they can reach 2.5m in height. It is a lovely majestic grass, definitely for the back of a border and will add height and shimmer in the evening summer sunlight. One last transparent must-have grass is Deschampsia cespitosa Goldtau [pictured below]. Another elegant grass with finely textured flowerheads on long slender stems it will give your borders an extraordinarily magical, almost dreamlike quality. Plant as single specimens dotted amongst perennials for maximum sublime effect. 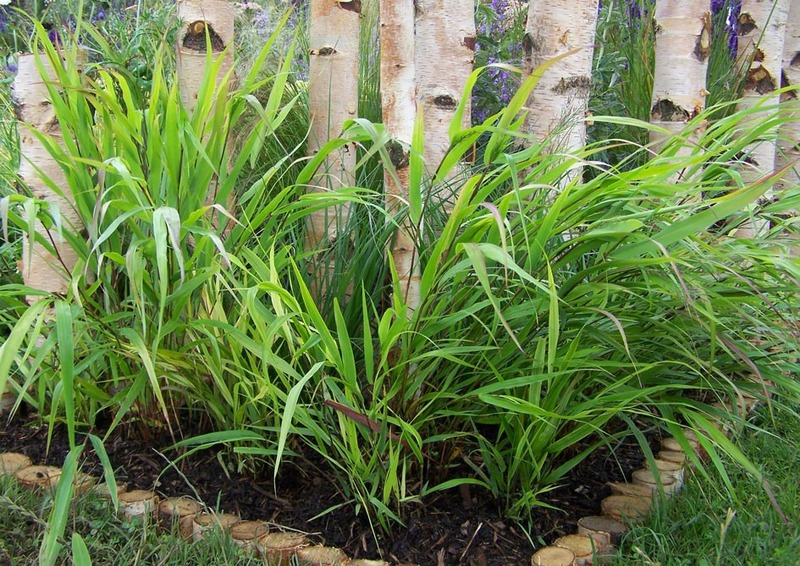 Grasses for foliage texture is another structural form and offers an important contrast to other plants. Carex comans ‘Frosted Curls’ [also pictured below] is a small evergreen grass with silvery leaves that curl at the tips. Its fine, wiry texture looks great next to broader leaf forms like Alchemilla mollis, even the purple sage in the picture, and gives you interest all year round. Also pictured here is another grass Molinia caerulea subsp. caerulea ‘Variegata’ [these Molinia’s like these long Latin names] which has unusual cream and pale green variegated leaves. This particular grass gives you the best of both worlds, textural leaf contrast as well as the transparent qualities from its purple flower spikelets, which reach around 0.6m high. One last grass in this category is Hakonechloa macra [again pictured below]. I love this grass and first discovered it only a few years ago in a garden I went to visit [I think it was Dunham Massey, near Altrincham]. The specimen I saw was obviously very happy in its position and very mature as it was a substantial hummock of cascading fresh green leaves. If there is one grass that epitomises nature itself, lush green fields and meadows in the spring, it has to be this grass. On a recent garden design project my client wanted to reduce the maintenance of his garden [bad knee] and decided [begrudgingly] to dig up the lawn, in favour of a more practical patio area. I immediately told him about this grass and suggested we should surround the patio area with borders and plant them en masse with Hakonechloa macra. He went for the idea and now, a year on from planting up, reclining on that patio gives you the impression of a lush green field, albeit in the middle of a suburban garden. The final category is plumes. This form is a soft, fluffy inflorescence that acts as a great companion to the more bold forms of plants. Astilbes and Filipendulas are classic perennial examples of plume flowers, but there are a couple of grasses that also fit the bill. Stipa tenuissima, which I mentioned at the beginning, creates a plume-like shape, great for softening and blending a planting scheme. Another plume grass is Calamagrostis brachytricha which has rather tall [up to 1.5m] fluffy flowerheads tinged silvery grey with a hint of purple. Use in the middle of a border to soften harder structural forms like Echinops ‘Taplow Blue’. 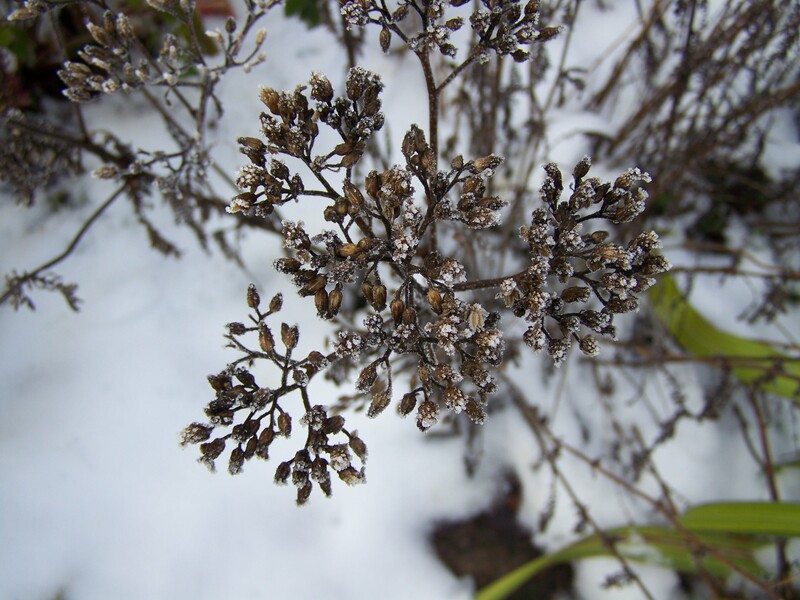 Ornamental grasses offer garden plantings a wealth of additional qualities that traditional plant types like perennials, roses and shrubs just cannot give. From majestic to magical, textural to just plain practical, there is one out there that will convert you; it’s just a matter of time.